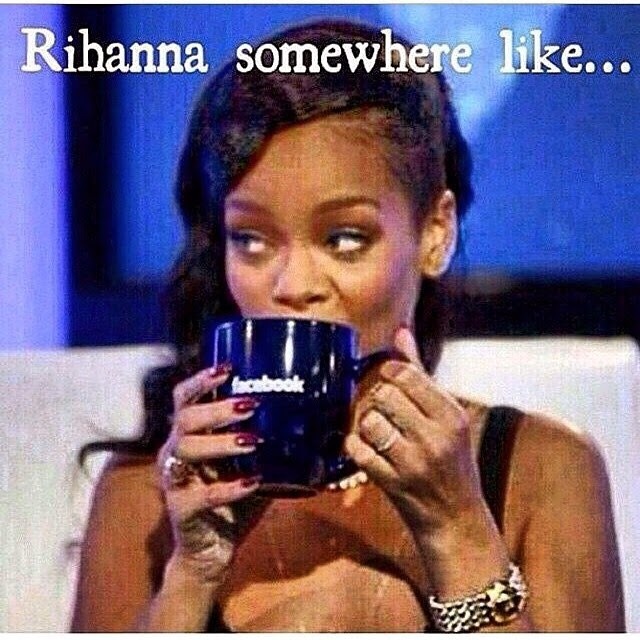 If you ask me, Karrueche Tran and Chris Brown could've solved their problems between themselves without bringing it on social media, but hey, nobody asked me. 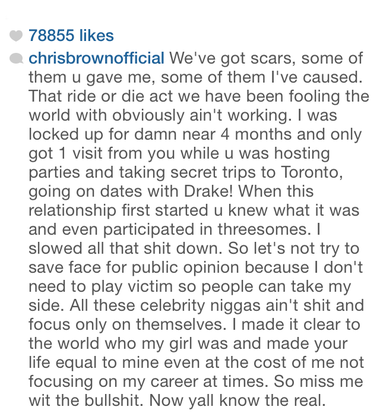 And so the immaturity continues as Chris Brown claims Karruche went on a date with Drake when he was in jail even while she was pretending like she was a ride or die chick. He says he isn't deceived or moved by that anymore. You would think that's where it ends but she fires back, trying to be nice, but he pushes back yet again. Some people do need to grow up, seriously. 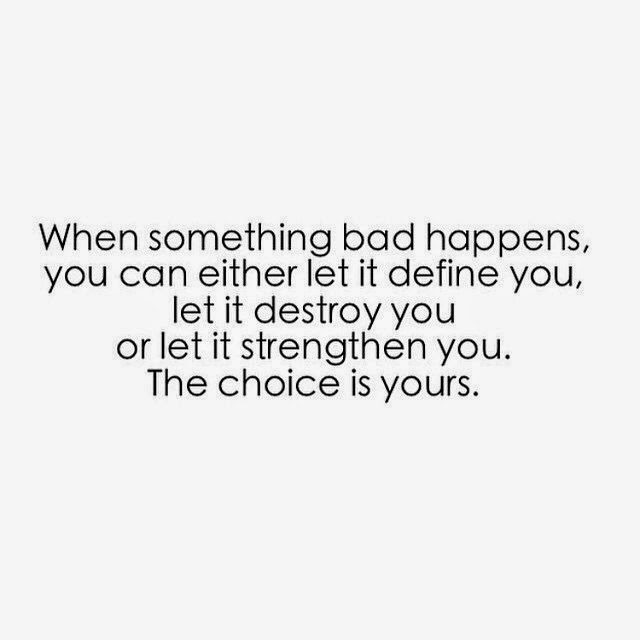 You need to read this to believe it. This all started when Chris Brown confirmed he has split from Karrueche Tran at a show last night, live on stage. He asked if there were single ladies in the house, and when many screamed yes, he replied, "I'm single too!" 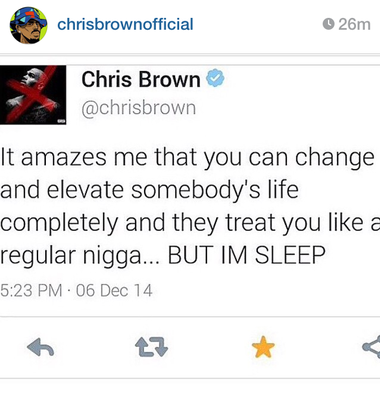 then threw shade at Karrueche saying, "F**k that b.itch!" After that, Chris then posted a photo with Kylie and Kendall Jenner where the latter is sitting on his lap. 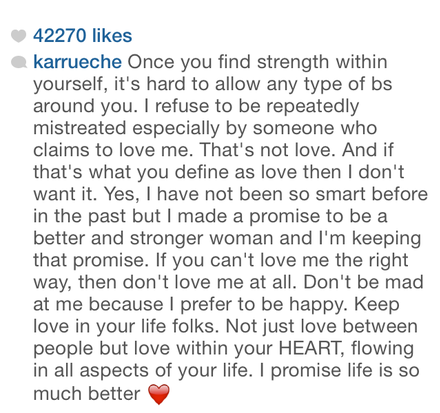 Karruche posted the tweet below, insinuating she broke up with him. As if that was too painful for him to bear, Chris also wrote an instagram post saying he made her what she is today. Karrueche fired off the next set of shots!